When the average person thinks of surfing one thinks of places like Cape Town, Hawaii and in the UK, Newquay. But if you were asked to surf in Snowdonia you would be quite right to scratch your head and wonder how. Snowdonia is better known for its mountains, walking trails, castles and steam railways not surfing but you are wrong so here goes… Surfs Up Wales, Surf Snowdonia! Surf Snowdonia brings big wave surfing to the heart of North Wales and is the world’s first inland surfing lagoon. For any avid surfer or for anyone who has ever fancied riding the waves Surf Snowdonia in Conwy is perfect. The 300-meter lagoon is one of the top tourist attractions in the UK and Europe and has been designed to match the qualities of ocean surfing areas around the world. While surfing and the water are the main attraction, Surf Snowdonia has plenty of other supporting things to do both on and off the water. There are places to eat and drink and even places to hook up your campervan or surf-truck and the location is easily accessible and easy to find. On the water, even the most experienced of surfers will be challenged by the waves and some of the best in the world have been known to wipe out in the surf. Surf Snowdonia offers surf training and has a fully equipped surf shop with equipment to purchase or hire. For those who don’t want to surf but still want to get wet, or should I stay try and stay dry, Crash and Splash is the ultimate agility challenge and is perfect for families or corporate team building. Crash and Splash is a crazy and challenging water obstacle course. A series of ropes, monkey bars, moving platforms and floating obstacles creates a place where getting wet is all part of the fun as you try your hardest to stay as dry as possible. Safety is assured and all safety equipment is available to hire. If testing yourself on this crazy assault course is not enough the Crash and Splash ends with a hair-raising catapult blob. This catapult is easily the biggest splash in the whole of Wales and is the perfect way to end a full of energy day out. It is not all water at Surf Snowdonia, especially for the little ones. With this in mind, although many youngsters love to surf and take advantage of the junior surf lessons, an indoor soft play surf shack is available. This surf inspired play areas will have kids exploring and having fun for hours on end while Mum or Dad enjoys a coffee or light meal. Surf Snowdonia makes water fun and is one of the most unexpected attractions to find among the mountains of North Wales. One of the top attractions for families and those seeking thrills and spills Surf Snowdonia places safety first at all times to ensure everyone has an enjoyable and memorable day out. There are also a number of crazy, water-based events that take place all year round with the Electric Wave Festival coming up on 14, 15 and 16 July that is sure to be an amazing event combining surfing, skating, music and food. 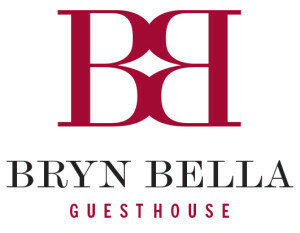 To book your stay at Bryn Bella Guest House click HERE and start planning your next Snowdonia Adventure.